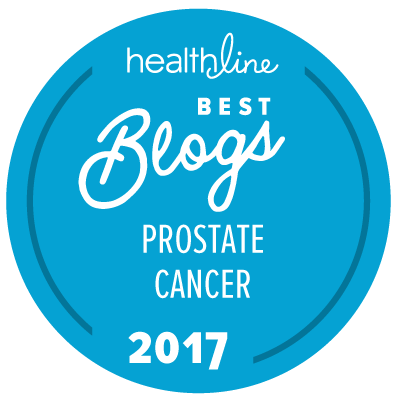 A newly published article in this month’s Journal of Urology has suggested that being exposed to Agent Orange and getting prostate cancer comes with better overall survival data than if one gets prostate cancer some other way. Here’s a link to the abstract of the paper by Tyler et al., and there is also some commentary on this paper in Renal & Urology News yesterday. Their study included data from men being treated with androgen deprivation therapy (ADT) for prostate cancer at VA hospitals here in the US. 87,344 patients were identified and included in the study. 3,475 of those patients (just 4.0 percent) had been exposed to Agent Orange (according to the standardized VA criteria for “exposure”). The patients who had been exposed to Agent Orange were not the same as the patients who had not been so exposed. They had significantly lower PSA levels while on ADT. They were more likely to have been given local therapy and chemotherapy (as well as the ADT). They had better overall survival — by 16 percent (hazard ratio [HR] = 0.84). Agent Orange exposure was associated with a decreased risk of death in men receiving androgen deprivation therapy for advanced prostate cancer. It does not appear to be associated with worse oncologic outcomes. In all honesty, something seem to us to be a little odd about this set of results, but we have not seen the full text of this paper in order to be able to review the data with care. However, in editorial comments about this paper, according to Renal & Urology News, Dr. Kirk Keegan of Vanderbilt University Medical Center seems to have had similar concerns. Our data should not be used to significantly alter health policy but [they provide] valuable information to help inform the clinical treatment of patients with prostate cancer who were exposed to Agent Orange. Clinicians should not assume a worse prostate cancer prognosis in patients exposed to Agent Orange and treatment should be tailored to the tumor biology of each patient (grade, stage, PSA, etc.). That is a set of remarks which we can entirely agree with. I would rather look at it that no manner of cause of diagnosis with prostate cancer is better than another. Veterans (of whom I am one; career Navy, retired, but not exposed to Agent Orange) who were exposed to Agent Orange are at least fortunate — as it should be — to receive full health care for prostate cancer as well as several other diseases/health issues that have been attributed to this horrible product. I served through Korea and Vietnam, and am well aware of the effects “boots on the ground” have experienced. Navy veterans who were aboard ships off-shore of Vietnam and exposed to Agent Orange that not only was in the air, but was also consumed through the distilled water from their anchorage waters wherein Agent Orange had spread through the area and waters, are still fighting for VA coverage. Many of these veterans are experiencing several of the same health issues as those “boots on the ground” receiving VA coverage. I’m finding it difficult to see any ease of concern, regardless of this study, indicating there should be comfort in knowing one’s Agent Orange exposure that caused their prostate cancer is even a wee bit “better?” than their counterparts not exposed to Agent Orange. I think there are two very different things going on here. You are talking about one important issue, which is whether the VA is correctly defining who was “exposed” to Agent Orange. Tyler et al. are talking about a different issue, which is the outcomes over time of those men who meet the current VA criteria for “exposure” to AO. They have no control over the VA criteria.